My dear Gentle Reader, I searched so hard to find someone else’s blog post on this subject so I wouldn’t have to write my own. I searched and searched until I realized I was spending more time searching and asking around than it would take to write the cursed thing, so I might as well do it myself. One of those “she who sees a problem is responsible for the solution” situations. An Option DOES NOT a Movie Make! I don’t want to be a downer, it’s not really my thing, but I am a realist. Yes, the Parasol Protectorate books have been optioned for non-film production rights (AKA TV series or mini-series). I talk a bit about that here, when it originally happened in 2012. So where is the movie? Doesn’t the fact that it has been optioned mean we get a movie? No. No it does not mean you get a movie. A friend who worked in TV told me on the DL that accepted industry guesstimates were that: of one hundred options a production company took on, ten would move to script stage and, of those ten, one would actually get made. That means 99% die in production. Do you know what else that Apple Pie quadrant is? Yes, I know there are exceptions out there *waves* but there is a reason the Apple Pies are also voracious book consumers. Because a book is something you can pick up and put down again. They are expensive to make because they take place in London, which means foriegn location (Budapest in this day-and-age, if rumors are to be believed). They are expensive to make because they have supernatural creatures and steampunk elements which means lots of CGI. They are expensive to make because they require period consuming and set dressings. What are you doing Gail? You’re talking anyone interested in optioning any of your other books out of it. My dears, I certainly hope Hollywood is at least as realistic as me about my various properties because, frankly, a loss of any one of the above elements (in the interests of economy) would make them no longer really my books. Which brings us to the final aspect of this situation. Once the option is sold, the author has little to no control over anything from production to casting to script. 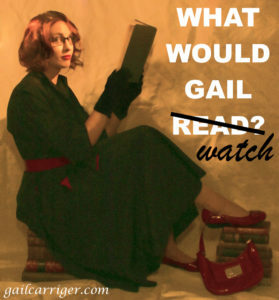 But they are YOUR books, Miss Gail! Did you see the Wizard of Earthsea TV Series? Ally Carter has a post about how movies happen. I recommend reading it if you are still interested in the subject (2010). LA Times talks a little about how many Neil Gaiman properties are in development hell before Stardust came out (2007). An agent is interviewed about books turning into movies (2011). The (Unlikely) Economics of Your Book Becoming a Movie (2010). Scott Sigler on his TV Series (2013). All the above articles are a little old. 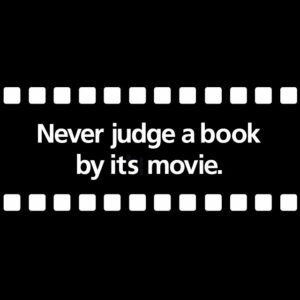 If anything, it is has gotten more difficult for books to become movies (or TV shows) rather than less difficult. The globalization (or perceived globalization) of the film market means action-based, low-dialogue, tent-pole movies are increasingly profitable and other movies are, well, not. 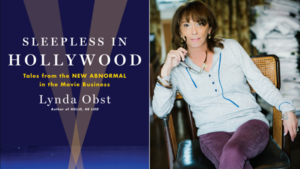 If you are genuinely interested in this subject and the weird reality of how Hollywood works, I cannot recommend Sleepless in Hollywood: Tales from the New Abnormal in the Movie Business by Lynda Obst (2013) highly enough. I found it utterly enthralling. Also, Mark Kermode has a three part BBC series on the Business of Film. High production values and well worth a listen. 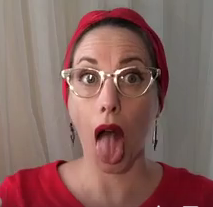 Finally, here is a great Stuff Mom Never Told You on Podcasting Women: Chicks Who Script. Has a more positive spin than one might think. 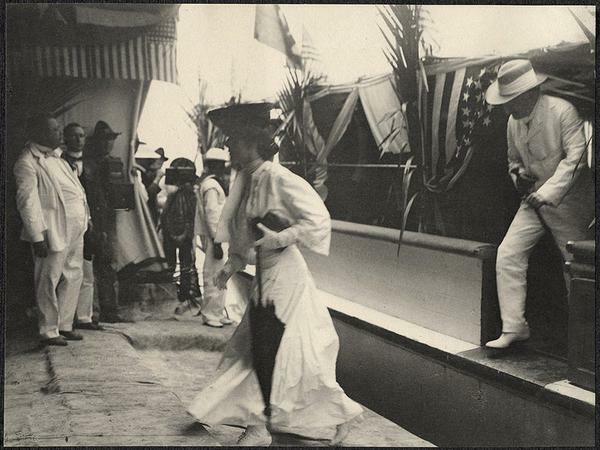 Global diplomacy was in Theodore Roosevelt’s hands, but his daughter stole the show. I've seen two fabulous book series that I love optioned, made and done very well. They are Miss Fisher's Murder Mysteries based on the Phryne Fisher books by Kerrie Greenwook and Outlander based on the books by Diana Gabaldon. I recommend each book series and TV series unreservedly. The reason I think both worked so well is that in each case the authers were very involved in scripting and creative control (in Kerrie Fisher's case just for the first two seasons but that was enough to get it right). I'd love to see the Parasol Protectorate books made for TV as there's so much more scope to tell complete stories over a full TV series and it can be done very well at times, but only if they do it well. Otherwise it'd be very frustrating. I hope that one day this might happen but only if you get the same level of involvement thes two wonderful women did. Chances are low but if it ever happens, the result will be brilliant. I hope your books get made into a series. But I understand why they might not. And if they do get made I really hope that you end up more like Kathy Reichs on Bones (where she gets regular input) than Kelley Armstrong with Bitten (where she has absolutely no say whatsoever in the series and who constantly has to explain to her readers that she has no say. At least with a miniseries or TV series your readership can record, pause and rewatch what they've missed. As much as a mini-series of PP would be wonderful, it probably would never live up to our (or yours) imagination. In that, I am content if it doesn't happen. As much as it pains me to say, you may be right this is how Hollywood views us Apple Pie'rs (if it's not a word, it is now) still being over 34 myself I take offense to the fact that it's assumed by Hollywood I wouldn't go see these as a movie. Lets take all the books made into movies so far, yes they were YA books to start with, but if they look really hard at the audience they'll find Apple Pies too. As for the expense of television, all three elements mentioned Location, Monsters, Period Costumes all have been done, granted at what cost I couldn't tell you, but one of my favourite shows Sanctuary had all of these elements started as a webseries and went to TV for I believe 5 seasons. My point here is, the audience is here, TV or movie it could be done, and I for one am behind you all the way what ever happens. Salsta – I have just finished the first season of Miss Fisher's Murder Mysteries and I agree it is great!